Guess Who is on Craftsy!! That's right everyone, my patterns are now on Craftsy!! So don't forget to go over and check them out and be sure to share all my links with your friends!! New Art Workshop starting Oct 1st with Rhomany!! I wanted to share this with you!! I am involved in a few art groups online, and one of my dear friends Rhomany is holding a workshop online and I thought you might enjoy taking part in it. It is called Whimsical Workspaces 2.0!! It is an awesome workshop designed to help you get in order and settled into your art and art journaling room/studio/office!! 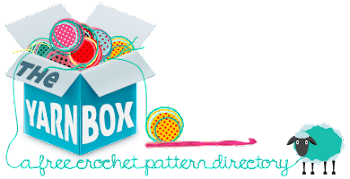 I have finally gotten my latest pattern tested, edited and re-typed and now posted!! I want to say thank you to all my wonderful testers who took the time to test this pattern for me :) You all rock and your notes were awesome!! Please be sure to check out my new pattern, The Crochet Zombie Bag, which is available here as well as for PDF download on Ravelry!! Have fun, and don't forget to post pics on my Ravelry, and fan page! Would love to see your finished bags.